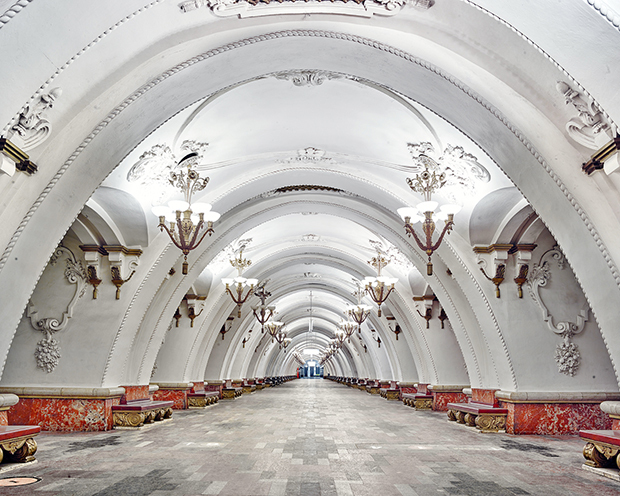 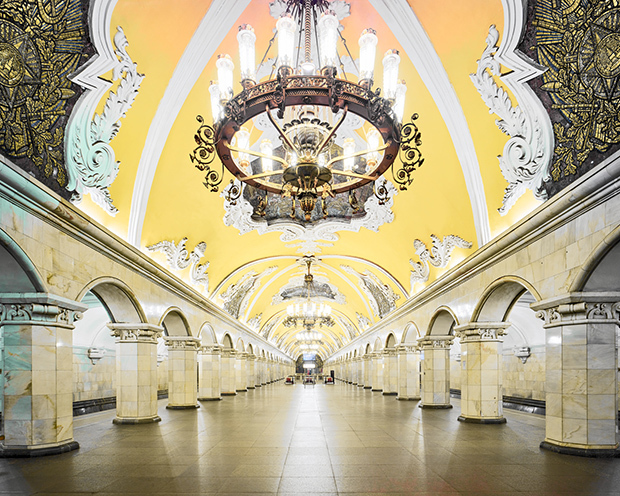 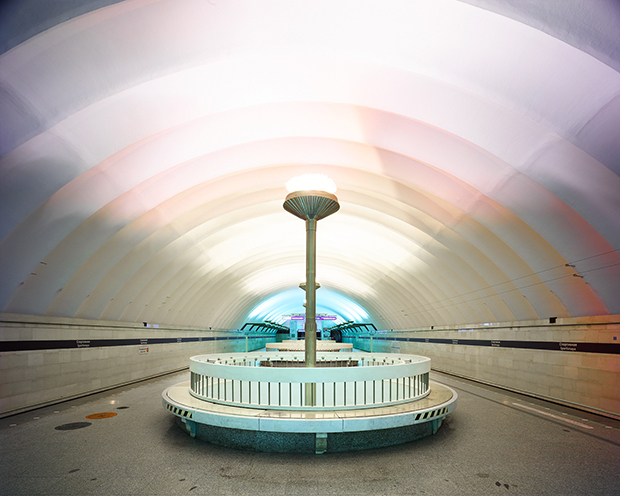 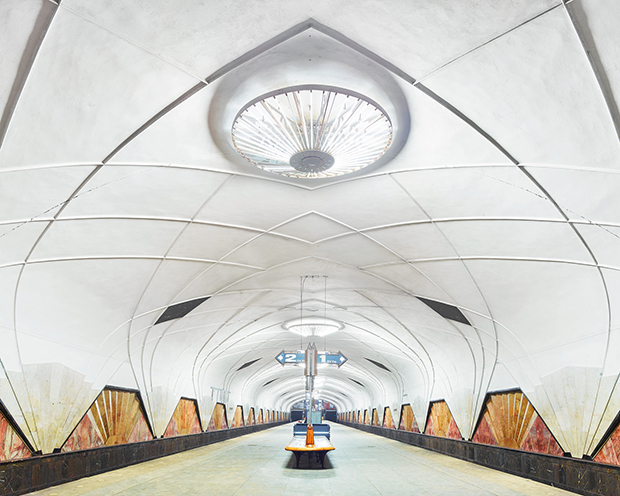 Vancouver-based photographer David Burdeny has captured a striking series of images that depict what remains of the underground palaces of the Moscow Metro. 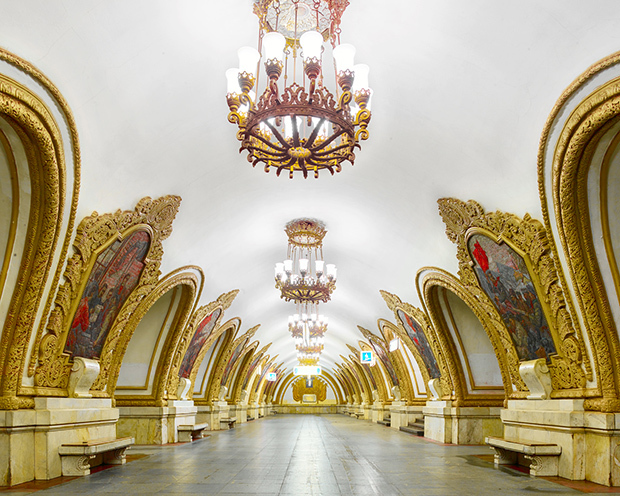 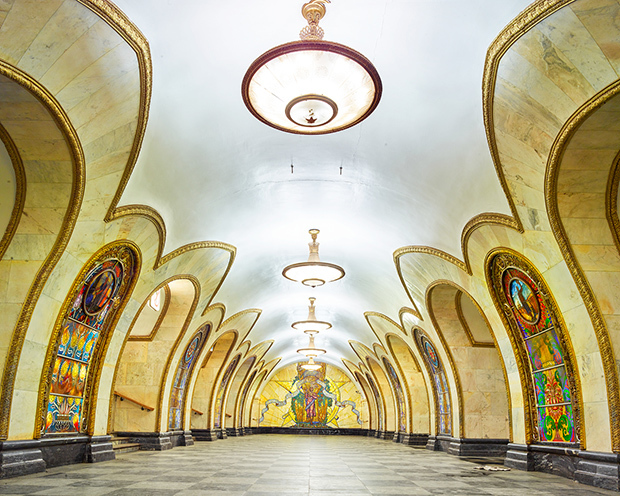 Back in the 1930s, Joseph Stalin and his longtime associate Lazar Kaganovich conceived and oversaw the construction of the Moscow Metro, a monumental underground network designed to inspire respect and devotion for the Communist Party of the Soviet Union. 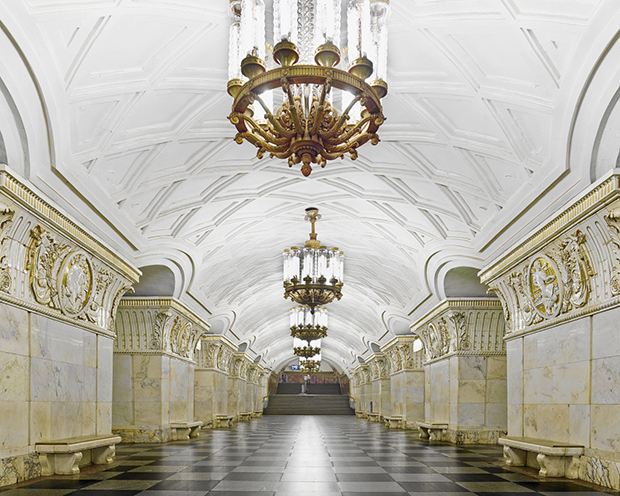 80 years later, Burdeny decided to capture the remarkable stations and what remains of them: their high marble ceilings, elaborate decorations and decadent chandeliers are still there to remind the world of a long gone era. 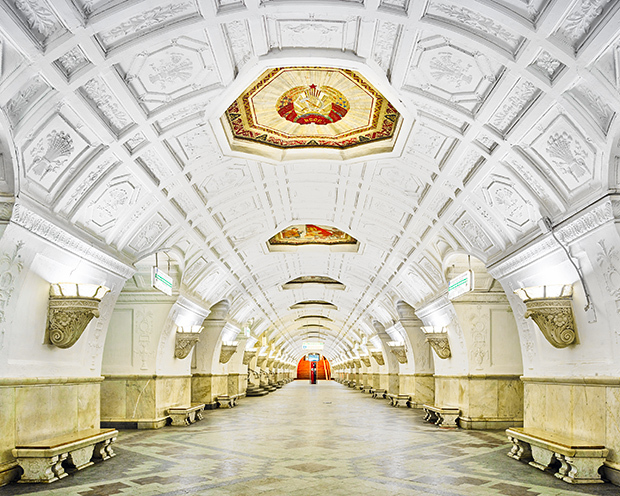 “The Russian Metro is a lesson in Russia’s history and architecture. 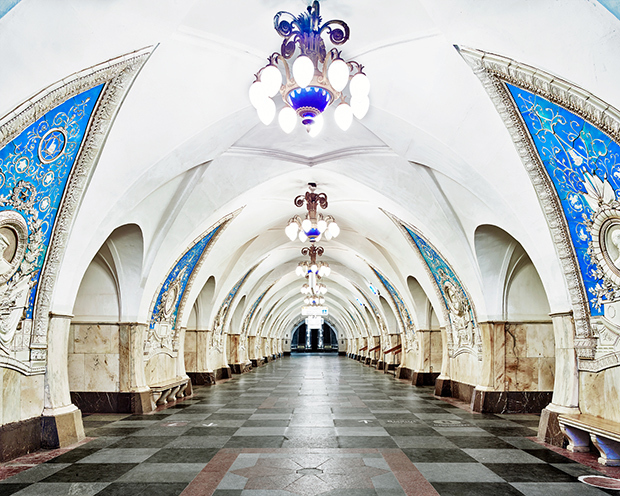 As you make your way through the system, the history of the city’s past eighty years manifests itself before your eyes. 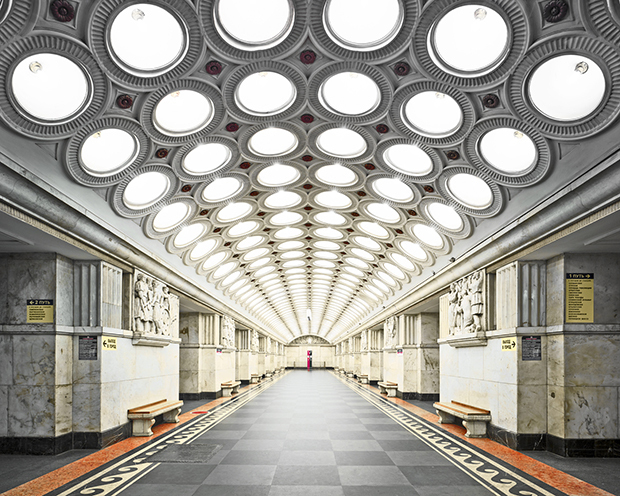 The stations range in design, from palatial baroque marble and granite structures to modern iron and glass, revealing the aeshetics ideals , hopes and failures of communist Russia. 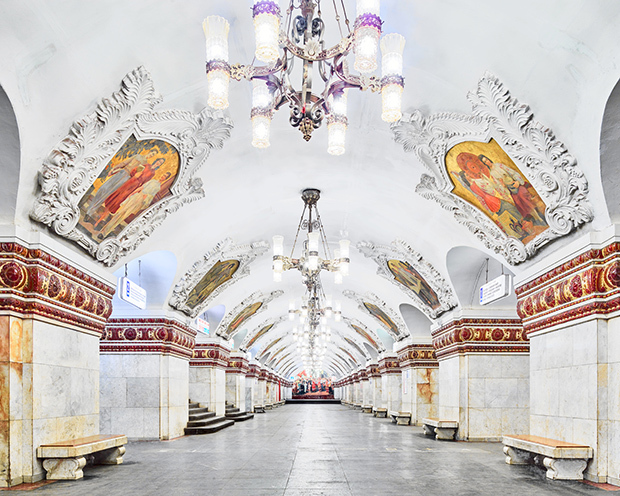 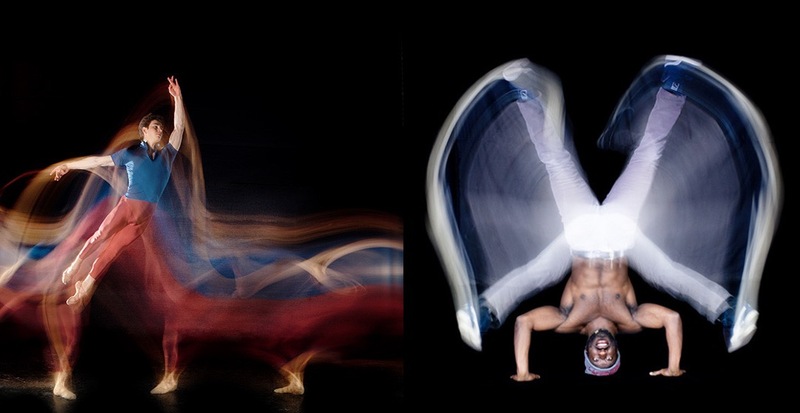 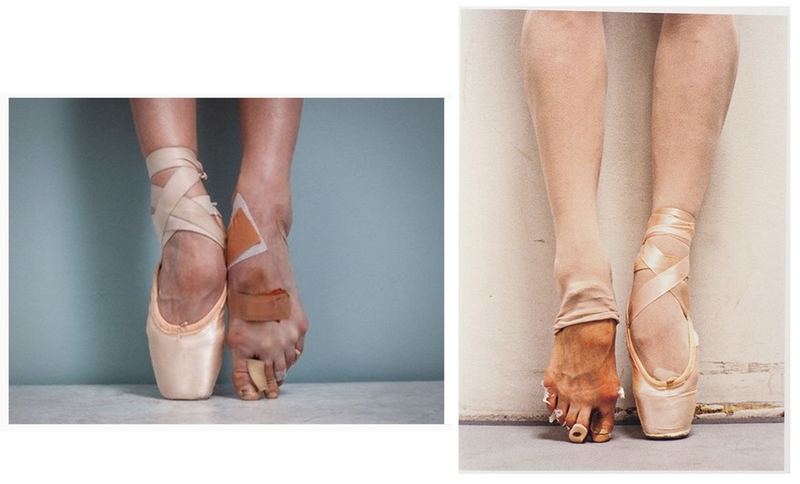 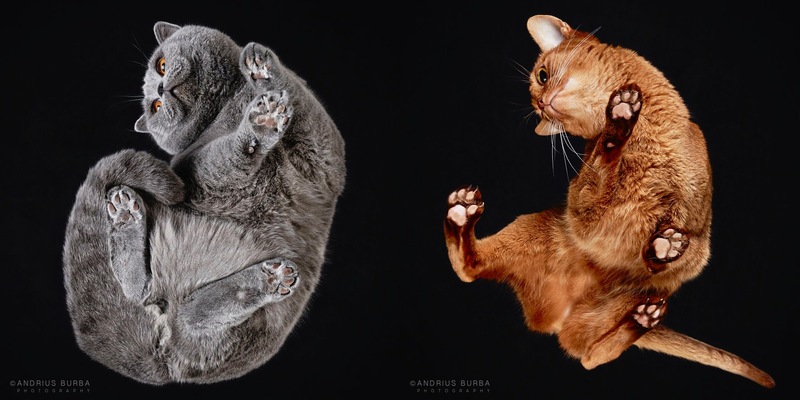 Purposefully Juxtaposed next to Russia’s finest cultural intuitions, these images reveal that these stations were conceived of as more than transitional spaces. 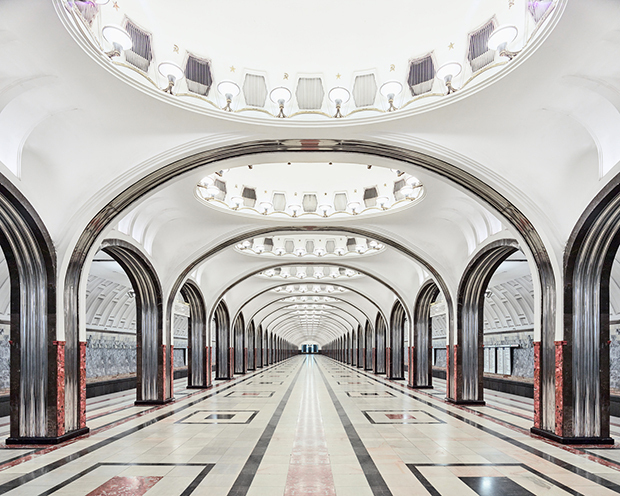 Instead, they were to be experienced as underground palaces, an extension of the urban fabric; a deliberate ideological move to eulogise the young Soviet country,” the photographer explains.